Have you downloaded loads of your beloved video files from YouTube? If so, what’s your commonly used way to play them back? Watch them on your PC, or experience them on your handheld devices like iPhone, iPhone 3G, iPhone 4G? Since Apple has strict format restrictions, the FLV files downloaded from YouTube or other video sharing websites such as Metacafe, Dailymotion, and Yahoo! 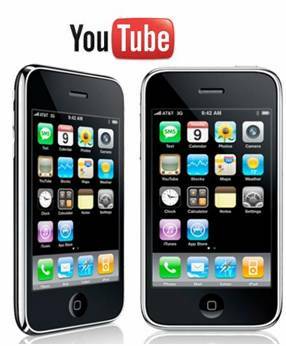 Video are unplayable on its portable devices like iPod, iPhone, even the new released iPhone 4G. The good news is that Pavtube Video to iPhone 4G Converter will absolutely do you a favor on this side, so that you can successfully watch YouTube FLV videos on your iPhone, iPhone 3G, and iPhone 4G whenever and wherever you want. Please feel free to read this tutorial to get a solution on how to convert YouTube FLV files to iPhone, iPhone 3G, iPhone 4G compatible format. 1. Download, install and run this YouTube to iPhone converter. Once you launch it, click “Add” button to import your downloaded YouTube FLV files to this program. By the way, this FLV to iPhone converter supports batch conversion, so you can add multiple FLV YouTube files to it at a time. If you’d like to combine several files into a single file, you can tick off the checkbox “Merge into one file” to realize this goal, so that there are no intervals when you play them back on your iPhone, iPhone 3G, or iPhone 4G. Click on the drop down list of “Format”, and then hit “iPhone” preset, after that you will see there are different types of formats specially designed for iPhone. Which one to choose is totally depending on your own needs. 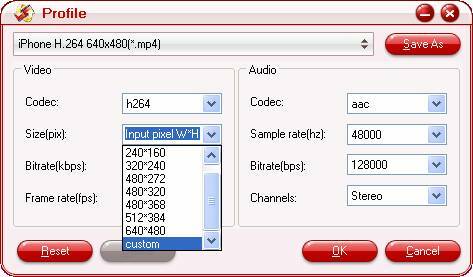 If you do not want to use the default settings, then you can click “Settings” button to enter the following interface, all the parameters shown on it are changeable, including codec, size, bitrate, frame rate, sample rate and audio channel. For example, if you wanna set a higher aspect ration 960*640 for your iPhone 4G, you can click “custom” to input your needed pixels. Click “Convert” button to begin converting FLV files to iPhone, iPhone 3G, or iPhone 4G workable formats. This YouTube to iPhone converter will finish conversion at a super high speed with excellent output quality, which will never let you encounter audio and video out of sync issues. As soon as the conversion task is completed, you can click “Open” button to get the final files for your iPhone effortlessly. What you need to do next is just syncing videos to iPhone with iTunes. Have fun.